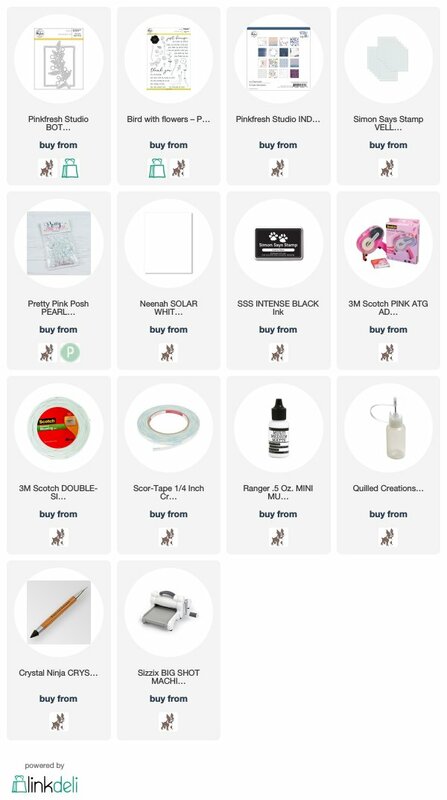 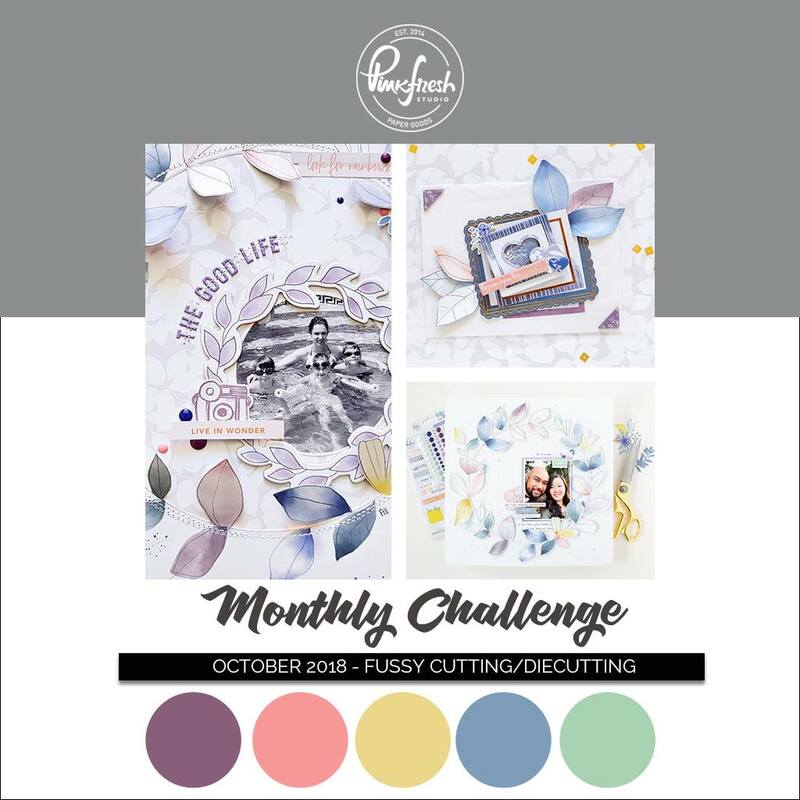 Pinkfresh Studios is kicking off a BRAND NEW October Challenge: Fussy Cutting/Die Cutting - paired of course with the option of a fun color combo! 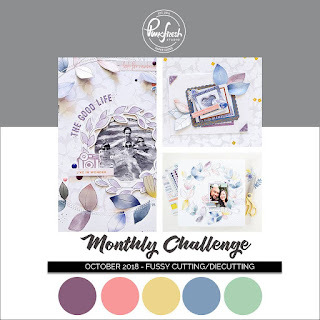 I hope you'll come play along for a chance to win some amazing prizes - you can enter cards OR scrapbook layouts!!! 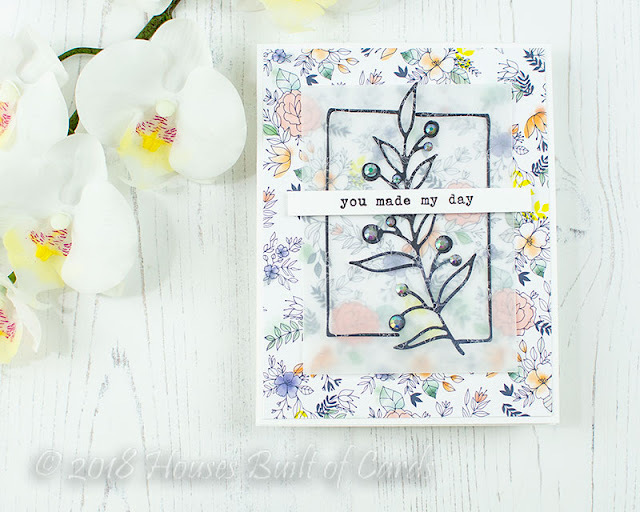 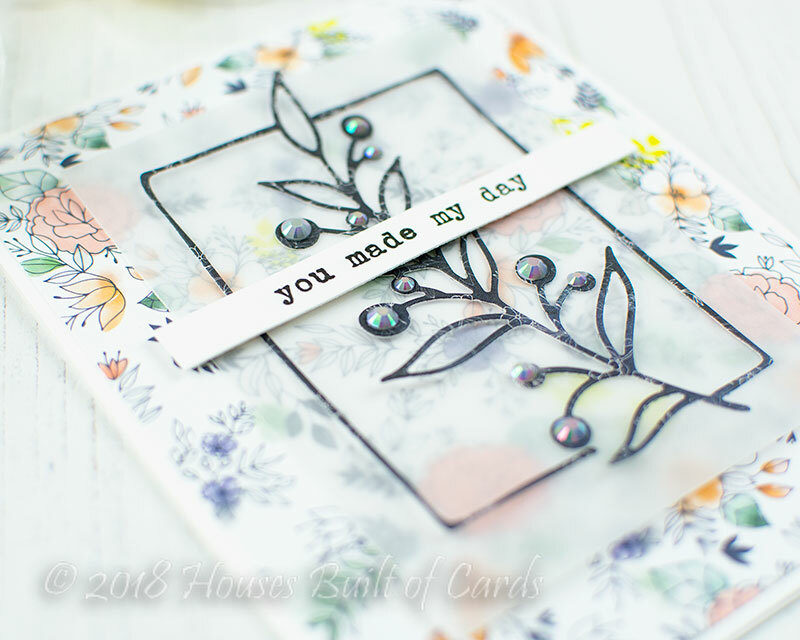 For my card I used some of the lovely pattern paper from the Indigo Hills 2 6x6 paper pad - the colors were perfect for the challenge! 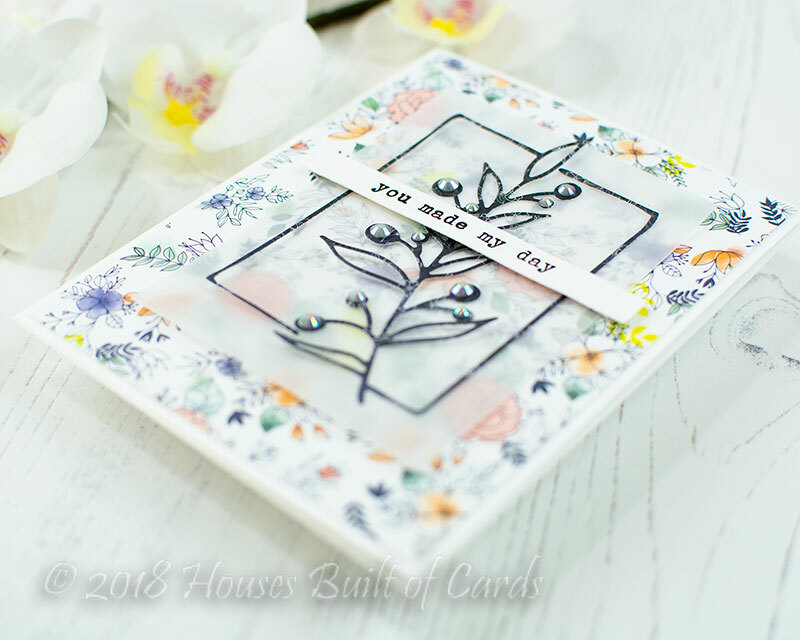 I layered it on some vellum, and added sentiment from Bird with Flowers stamped on a strip of white cardstock. 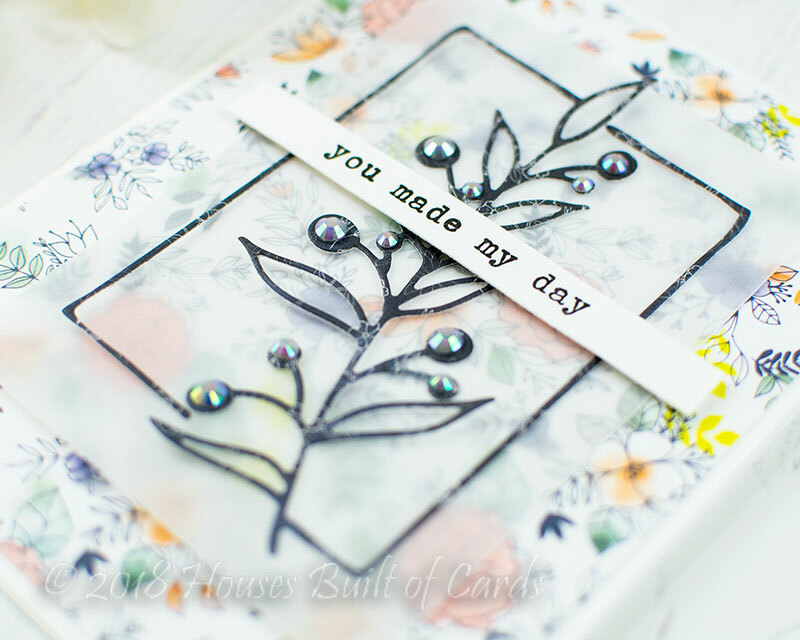 Finished off with some sparkly Pearl White Jewels from Pretty Pink Posh! This is such a beautiful, feminine card! 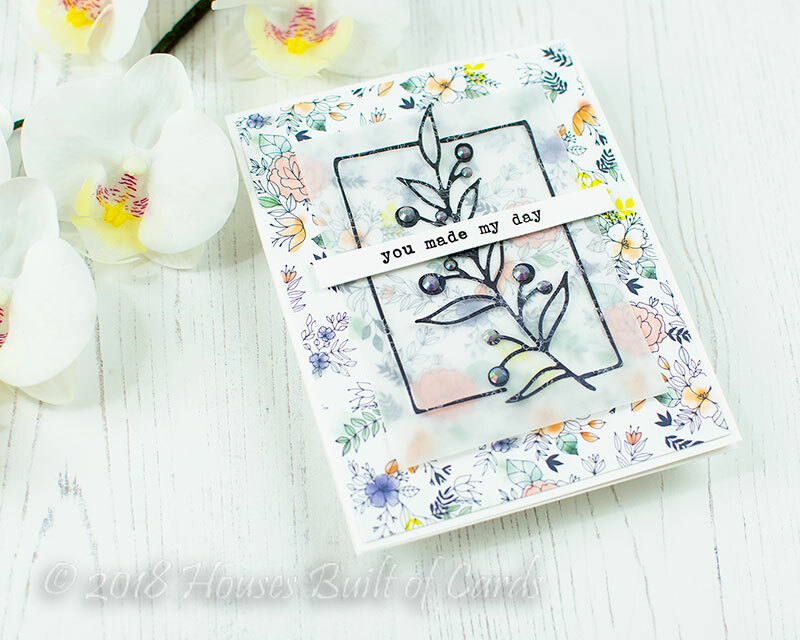 The vellum overlay is a pretty design touch.